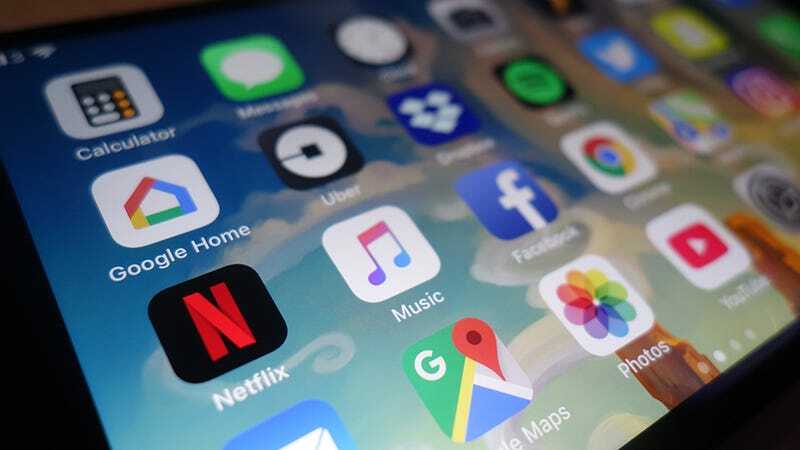 It’s not easy keeping up with all the features in your favorite apps, with dozens of updates pouring down from your app store of choice every week. Just in case you’re not using your apps to their full potential, here are 34 recently introduced tricks and tools that you might not have spotted yet. You can now specify more than one drop-off (or pick-up) point inside the Uber app when you’re getting a cab—tap the Where To? box then use the plus icons on the right to add the stops you need (you can have up to two extra ones). Another Uber update pushed out on the driver’s side lets them give more detailed feedback on problems with riders, like punctuality or cleanliness. If you as a rider get the same tag twice in a month, you get alerted about it. If you’ve set up a Bitmoji in Snapchat, it recently gained some augmented reality powers. Point your camera at a flat surface, tap somewhere on the screen, then swipe through the lenses underneath to find the AR Bitmoji ones. Staying with Snapchat and the wonders of augmented reality, if you point your camera at a scene that includes a block of sky and take a picture, as you swipe through your filters you’ll see ones for changing the light and atmosphere. Get feedback from your Instagram followers by adding a poll in a Story—take a picture and a poll appears as one of the sticker options. Note that all votes are public and can be seen by anyone who is allowed to view the Story. in addition to polls, you can now add a Superzoom effect to any of your Stories, and it appears as a new camera option between Boomerang and Rewind. Just start recording and the app takes care of the zooming, with sound effects. If you don’t pay attention to the Home screen on Spotify, you may have missed a new auto-generated playlist called Your Time Capsule from Spotify. It plays tunes plucked from your teens—back when music really meant something. Spotify now works wherever Google Assistant can be found, so you can say “OK Google, play Spotify” on your Google Home speaker or Android phone (just be sure to set up the Spotify link in the Google Home app first). All that News Feed scrolling got you peckish? You can now order food inside the Facebook app, via the Order Food option in the main Explore menu—a number of partners are signed up, including EatStreet and Delivery.com. Facebook knows everything about you, including your birthday, and a couple of weeks before the big day you’ll now see an option in the News Feed to start a fundraiser for the big occasion, with a choice of 750,000 non-profits. Dropbox is making it easier to create a portfolio with the addition of a new $19.99/month plan: Dropbox Professional. It lets you manage a showcase of your work, track who has seen what, and the usual 1TB boost in online storage. Also in the Professional (and Business) tier is Smart Sync, a new feature that stores all your desktop files in the cloud but lets you open them as if they’re local files. Right-click on a file or folder in Windows or macOS to get to it. News of this feature has probably appeared on your radar already, but not everyone has access to it yet: 280 characters for your tweets rather than 140, so you’ve got even more room to rail against the slow decline of civilization. Twitter is also trialling a new Happening Now box at the top of the timeline on Android and iOS, grouping together tweets and hashtags about something happening right now (like a sporting event) for easy access inside the app. If you’ve seen that Orange is the New Black intro just one time too many, you’ll want to take advantage of the new Skip Intro button on Netflix—look out for it down in the corner of the screen as an episode starts. Some of the kids shows in Netflix can now be played like a choose your own adventure game on iOS or smart TVs, where youngsters are able to pick the storylines and outcomes they want to see. Try Puss in Book for starters. Said something you shouldn’t have? The new Delete for Everyone option in WhatsApp lets you scrub something from the conversation: Tap and hold the message, then tap the trash icon, then choose to Delete for everyone. Location sharing has been available in WhatsApp for a while, but now you can share a constantly updated, real-time report on your whereabouts with any of your contacts. Tap the attachment icon, then Location to do it. One of the most popular podcasting apps out there, Pocket Casts now works with Sonos speakers and software, though the feature is still in beta: Head to the Music Services section in any of your Sonos apps to find it. Also new in Pocket Casts is a radical revamp of the web player that syncs your podcasts with whatever mobile apps you’ve got installed. The update adds better playlist tools, a dark mode, and a bunch of other improvements. Apple app improvements are usually tied to new iOS releases of course, and with iOS 11 Apple Music gets some extra social discovery features. Head to the For You tab to find friends to follow and to set up your own profile. Apple Music also exists on Android, and this version was recently updated with a new Recently Played widget for your home screen. It doesn’t do much besides give you quick access to your tunes, but it’s a handy option to have. You may well have noticed this if you use Gmail a lot, but Smart Replies now pop up at the bottom of emails on both Android and iOS—they can help you quickly and succinctly power through your inbox in record time. Google just opened the doors on a new Gmail Add-ons store, and while the choice at the moment is pretty sparse (Trello and Asana are here), these plug-ins fit seamlessly into the web client and Android app to add extra features. As for Apple’s default mobile mail client, one of the new features that arrived with iOS 11 was the option to create drawings inside your messages. Long press in a message, find the Insert Drawing option, and start getting creative. Also added to Apple Mail—as well as a lot of other apps in iOS 11—is the ability to drag and drop text and images inside messages. Tap and hold on an image or a block of selected text and it lifts up ready for repositioning. Google Maps offers a ton of information about places, but if something’s missing, you can now ask a question from a place’s details card. Google Maps also occasionally prompts you to answer questions about places you’ve visited. Google Maps will now offer to find parking for you, if you’re on Android and you’re heading to one of the 25 US cities supported so far. The option appears in the driving directions card, and should roll out more widely soon. Here’s a new feature that might make you switch back to Apple Maps from whatever mapping app you’re using right now—the app now gives you lane guidance so you know exactly where you’re meant to be in strange cities. Apple Maps has finally followed the lead of Google Maps to let you zoom with one hand rather than two when you’re out and about. Double tap and hold on the map, then move your finger (or thumb) up or down the screen. Any browser worth a look has a read-it-later feature, and Google Chrome for iOS recently added one: Open the menu, tap the Share button, and Read Later appears. Your Reading List then appears in the main app menu. Over on Android, Google Chrome lets you bookmark sites or download them in their entirety. Open the app menu and tap the download icon at the top to save the whole site, or long press on a link to download that page. One of the headline features arriving with iOS 11 was an anti-tracking option in Safari, called Prevent Cross-Site Tracking under Safari in Settings. It prevents ad networks from building up a profile on you across multiple sites. The clutter-free Reader View in Safari for iOS can now be applied automatically on specific sites or across all sites—long press on the Reader View icon rather than tapping it to bring up the options for the current site.